I. Why write about this? I don’t know where to start with this one. This has been the issue that I initially didn’t know how to speak on. Being a first generation African American with no connection to the black American culture, I didn’t know at first how to feel about this issue. That being said, I knew this much before I embarked on this journey. 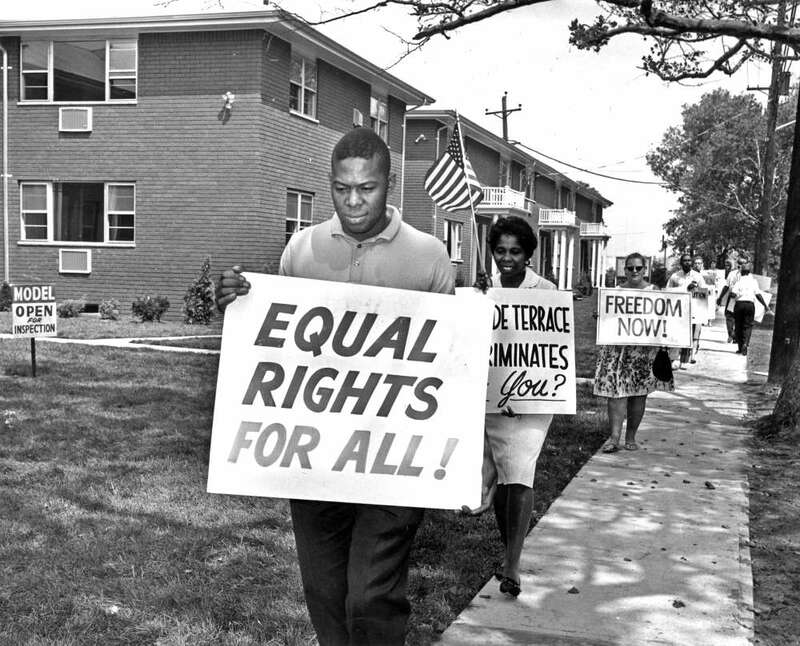 Throughout the history of the United States, there have been and still are systemic problems with this nation and its treatment of African Americans. From the prison industrial complex to land lords refusing to lease to black people, there is no shortage of issues that are placed upon African Americans purely based on their race. All of this came from the institution of slavery and the social construct that is race. If you asked anyone hypothetically about whether it would be fair for a group of people responsible for building a significant part of the most powerful nation in the world not receiving any sort of compensation for their contributions, any good person would call that flagrant. This hypothetical group is the African American people of this nation that was brought here against their own will between the mid 1600s to mid 1800s. This is my case for reparations for those people. As a journalist at school, we are taught to gather as many perspectives for any story, and especially with this serious of a topic, I decided to call one of my conservative friends about this issue. His explanation for why reparations shouldn’t exist in the form of direct payment is that first, it happened too long ago in the past. He also argued that, for the time period, it was acceptable to own slaves, and because so few people owned slaves anyway, it would not be worth it for the US government to spend money on this issue that so few people were responsible for. I challenged him with the reparations to Israel from Germany, and he refuted that it had never been acceptable to gas millions of Jews. And while I do agree that it has never been acceptable to massacre Jews or any race ever, there is a clear double standard going on with these two persecuted groups, a race-based double standard in my opinion. Slavery was the most violent, outrageous, and government-supported institution in American history that took place over two hundred years in this country. The consequences of perpetual racism that has taken place then and now are responsible for the plights of black people in this country every single day. There is a reason why African Americans make up only 13% of the American population yet 38.6% of the federal prison population. There is a reason why only about 23% of ALL black people ages 25–29 have any sort of bachelors degree. There is a reason why for every $100 a white family holds in wealth, the average black family only holds $5.04. That is a 20 to 1 wealth ratio. Let that sink in. That is completely different from the perception the psychologists from Yale found when conducting this study. When they asked black and white Americans of varying incomes about this wealth gap, they estimated that black people had approximately $83 for every white family’s $100 in wealth, 16 plus times the amount they actually have. This inequity is what our nation was built upon. When you bring over half a million people to America over the course of two hundred years with the intention of never paying them, and then just releasing them from slavery in 1865 in hopes they could just “figure things out” is ludicrous. Rather than slavery ending, it just transformed into sharecropping. This eventually led to Jim Crow laws later being established in the South during the late 1800s because society continued to perpetuate that black people were inherently worse than white people. When you can’t provide equal opportunity to go to college and gain an education, you won’t have black people ever see the light of Congress and representation in local government necessary to change public perception of race. This continuous cycle of subordination without the chance to correct this idea even in children at an elementary school level is what led to the persistent racist and white supremacist behavior that has become normalized for the better part of our nation’s history. For those who’ve seen 13th, then you know that the 21st century slavery is the prison industrial complex. Once slavery was ended with the 13th amendment, state and local governments all across the South and even other parts of the country would arrest black people for “loitering,” and send them to jail for irrational and racist reasons, resulting in unfair sentencing. Privatized prisons only exacerbated the issue and harsher sentencing against black people has led to corporations profiting significantly off of prison labor that they can pay pennies on the dollar. All of this stems from slavery. As much as I think our government has helped pushed the United States into a much more equal opportunity nation, there has not been enough of an effort towards even the research of the consequences slavery and racism have had on this country. Every year from 1989 to 2017, former Representative John Conyers (who I think you can judge for yourself after all his allegations found here) proposed the famous H.R.40 bill, or the Commission to Study and Develop Reparation Proposals for African-Americans Act. He wanted to create a commission to help study the effects of slavery and approve of possible solutions to these consequences. Every single year since 1989, it has never passed, and with his resignation, there is little hope this bill may ever be pass. Not only has Congress feared the idea of granting reparations, but they have feared even the study or research of the subject altogether. Not only does this speak volumes for how much they are afraid of discussing race, but they are more afraid of uncovering how bad the nation has been towards black people in particular. The Senate did pass an apology for the institution of slavery in 2009, but one, this happened in 2009, nearly 144 years after the 13th amendment and with the first black president, and two, all it was was a written statement, with no courses of actions to take attached to it. As much as it was a step forward to acknowledge the problem, the next step should have been how to address the injustices caused by slavery. Unfortunately, that has never happened. Well, the first reason I came up with respect to why we should have reparations was quite simple: if the US and countries across the world have given monetary reparations to other marginalized groups, why can’t African Americans in the US get reparations too? In 1988, President Regan signed the Civil Liberties Act, which granted $20,000 to each survivor of the Japanese Internment during WW2. Now, I understand that direct monetary reparations for African Americans could end up going to millions of black people and cost billions more than what was sent to the Japanese, but the US has granted reparations before. Another childish, yet justifiable reason I came up with was “Well, Germany did it. Why can’t we do something on a larger scale?” Following WW2, the German government has continued to pay for Holocaust survivors’ medical treatment and in 2013, pledged to pay over $900 MILLION to help establish a fund for Jewish Victims of Nazi Aggression. Whether you think it is possible to have the US pay this much is one thing, but the very fact that Germany is pledging this much to correct for their wrongdoings over the course of around 13 years shows us that we should pay back reparations of some form towards the descendants of the millions of slaves that were brought to the US over the course of over 200 years. Again, although the population receiving reparations today from Germany is minuscule compared to the black population today in America, monetary reparations have been granted before, and the German government is an example of a governing body who has taken responsibility for its past. V. What can we do? Even if we cannot accept the fact that payments to millions of people is possible, although I certainly think it can and should be done, there are methods besides just direct payment that can reduce the inequality between white people and black people in this country caused by slavery. The first step must be education. There must be no division between what the South and what the rest of the nation views the Civil War, or segregation as. How can we accept reparations when it was only 22 years ago that Alabama recognized the 13th Amendment? There has to be no misconception about the Civil War was the “War of Northern Aggression.” That was a war for slavery and to preserve the oppression of millions of black people in this country. Period. I do think that it is unfortunate that the rest of America has failed to help those in rural areas in changing how they view slavery and the Civil Rights Movement. Everyone in this nation should be granted through school a comprehensive understanding of the gravity of slavery and how brutal the institution was. Once we can truly understand how horrible the enslavement and segregation of black people was, we can then be equipped with the necessary knowledge to address the subject of reparations. I want to make one thing extremely clear. Reparations aren’t a partisan issue. They are a correction for the past wrongdoings of black people by this nation. If you don’t support any form of reparations, even in building institutions to support the African American youth in this nation, then you do not believe that our government should be responsible for slavery and its ideas that continue to threaten the success of black people today. Considering how much this nation profited upon the backs of slaves and following Reconstruction, I don’t think there is any reason why we would not grant reparations of some sort towards African Americans. Legally, there is a basis to grant reparations. If there is a specific way for the descendants of slavery to prove that they were brought here against their will and were profited off of their unpaid labor, then the debate towards granting those specific people reparations can be made. This would cause many people to at first evoke the 14th Amendment and the Equal Protection Clause as a reason why monetary reparations could never be legally possible. These reparations would be treated as if the state was responsible for the lives that were lost during those 200 years. The US government is responsible for the rapes, lynchings, and brutal murders of millions of African Americans during slavery and through post-Reconstruction/Jim Crow era America, just like they would be responsible for the pollution of a state-owned facility that caused someone to die of an illness. If you can prove that your descendants have been enslaved, you should be granted some sort of compensation for your family’s suffering, whether that means getting a better mortgage when buying your family’s first home and/or access to better educational opportunities, starting in elementary school. Ultimately, I would be remised if I didn’t mention the fact that there are plenty of marginalized groups in American history. Native Americans got a country stole from right under them. Mexicans were kicked South because the US won the Mexican-American War, yet weren’t allowed to return to the US. I could go on and on with these groups, but I struggle to genuinely understand how the treatment specifically of African Americans and their enslavement and continued marginalization in the country they were responsible for helping become the most powerful nation in the world can go unnoticed. Social justice and reparations for slavery are two connected, yet very different topics, and in many ways, this is why I wholeheartedly disagree with Senator Bernie Sanders on his stance against reparations. Reparations aren’t just about bringing the socioeconomic statuses between white and black people closer as it is about the state being responsible for the torture of black bodies for the better part of this country’s history. This nation’s government has never claimed full responsibility for slavery and segregation, and their inability to correct for these injustices is why white supremacy and socioeconomic inequality will continue to be perpetuated in the United States. The one thing I do know for certain, through my research and self-reflection this past week, is that if this country cannot truly acknowledge how slavery, segregation, and racism is responsible for what America has become, we can never begin to correct the consequences these institutions have done to our country. I would like thanks for taking the time to read this. This piece was inspired by The Case for Reparations by Ta-Nehisi Coates, so if you can, send it his way and hopefully he can read this! Please leave your thoughts in the comments either here or on Facebook, and follow me on Twitter @noahbball1 to engage in some insightful conversations. Please share this article with your friends and family and have some candid discussions this holiday. See you all next week.